Boasting both style and utility, small cross-body bags are back in a big way. The Happy Pappy Vintage would like to give this one to a Kansas Couture reader. Simply leave a comment on this post between now and next Sunday at 11 p.m. central time. A winner will be chosen at random and announced on Monday. Only one entry per person, please. This giveaway is open to international readers. Also, the Happy Pappy Vintage would like to offer an exclusive 15% discount to Kansas Couture readers. Leave a note when you check out, and the price will be reduced accordingly before you pay. I love giveaways. :) This purse is adorable. I love this purse! I've really been into the small purses this summer! This is my ideal purse. I'm always on the lookout for one like this. I love it! Such a cute purse! And it is true, these small bags are getting very popular again. Love this purse! It's completely adorable. I LOOOOOVE cross-body bags! And this one is the sweetest little size! Love the size and color. Thanks for the opportunities! So adorable. Would love to win it! ahhh! I have been looking for a bag just like that! thanks for the giveaway, can't wait to shop at their site! It's so cute!!! Such a perfect size. What a great purse, thanks for the giveaway oppurtunity! That bag is amazing. So glad this is open to international readers. ah! So fabulous, I love the colors! Love the purse. So cute! I need a new purse and that one would be perfect! it would work with so many summer outfits. loveeee this purse so much! That is a very cute purse! A girl can never have too many! and what a cute little purse!! I love it and it will will a huge gap in my wardrobe! I love that purse!!!! !I would love to win that!!!!!!!!! I've never won anything, but I thought I'd give it a try anyway. I lack nice going out purses. super cute! i've been looking for the perfect cross-body bag for awhile now! What a perfect summer purse...& will transition well into fall! I need a new little bag! Pick me! Yay! This purse is adorable! I love this purse! I really need a crossbody bag. Perfect giveaway. I love that bag! This is a wonderful give away!!! I love it!! So fun. That's such a great little bag! :) Love the contrast of what looks like brown and navy(?)! So perfect! I'd love to have this! Oh I love this purse! I love that the 90s are back. It means I get to start watching Friends all over again for inspiration. Thanks for sharing your style in such a great blog! I love this bag! I need a smaller purse--my go-to bag is big enough to fit a small child! Goodness I WANT that purse! its gorgeous! I've been looking for a cute little crossbody bag...Thanks for the chance to win this one! Very cute! I love the freedom of crossbody bags. What a lovely little purse! Thank you for the great giveaway. Awesome giveaway! :) The purse is so uber cute, I'm crossing my fingers! Love your site. I've been lurking for about a year now and I've also on the lookout for a great purse... good time to finally leave a comment! so cute! all i use are cross body purses! Thanks for the giveaway! I've been looking for a cross body bag...fingers crossed! Wow, what a adorable purse. fingers crossed! Enter me please! I love the giveaway! That purse is excatly what I have been looking for. I really love giveaways !! And I also really love this purse !! How adorable! I've been looking for a purse like this one! Such a cute purse, I love it! Yay! Giveaway! I love your site, especially how you're able to dress amazingly for such low prices! ooh i just love this purse so cute! love it! 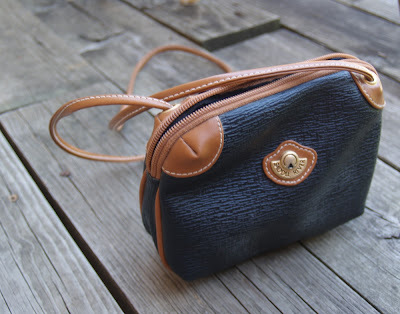 I have been looking for a small purse like this! Love, love, love it! oooh la la! <3 i love that bag! 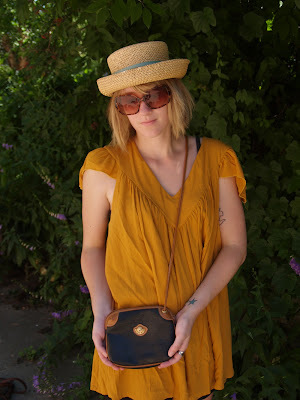 awww, small cross-body bags like this are perfect for summer! love it! Hello! :) Next week is my sweet sixteen birthday, and this beautiful crossbody bag is the bag of my dreams! I have never won anything, but I love giveaways! :) Thank you for giving your readers the opportunity to own this beautiful bag! Nossa !ela é minha cara rsrsr adoro seu blogg vejo dia sim e o outro tbém.Beijox linda! ad-or-able!! :) wonderful for end summer/early fall! hell, all year round!